Many property owners may already have a population of Californian quail however an introduction of new stock is always an advantage and will create more vigour in the wild population. 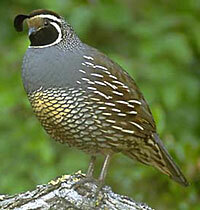 Price: Californian quail - $100.00 per pair. Contact us to order these birds or for more information.